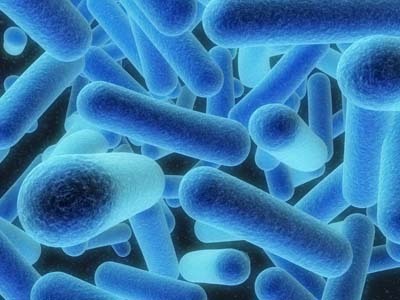 “Grady Memorial Hospital officials are investigating a spike in Legionnaires’ disease. Four patients who were recently hospitalized at Grady have contracted the bacterial infection in the past month, according to Grady’s Web site. In a typical year, the hospital might see two or three cases,” reports the AJC. As a Peach Pundit public service: if you have been hospitalized at Grady in the last month and you think you may be currently ill with Legionella, please call (404) 616-0600. Need a golfing legend statue for your town? Hospitals are notorious for spreading illnesses. As long as it isn’t MRSA. That stuff scares the hell out of me. All the more reason we should shut them down. And let’s get rid of that evil CDC too. I’m pretty sure it’s not specifically mentioned in the constitution. Well, can you find authority for it there? Nothing prevents states from banding together to form a cooperative to accomplish the same goals as the CDC…why does the federal government have to handle this? Sometimes the gub-ment actually screws things up worse than before. Some of these places are run by buffoons. Think Katrina and Michael Brown. Think Plumb Island fiasco. Think politicians and bureaucrats, Cost over-runs, Lack of transparency, lax security, mishaps, paper shredders, politicians with documents stuffed in their socks, ect… The only thing missing is a petri-dish sample sale/inventory reduction. Haven’t I taught you better? Why didn’t you bring up the evil pharmaceutical companies and genetically modified food reaping havoc on the systems of unsuspecting Americans? I guess I just have to do everything myself. It’s the constant repetition that takes so much effort. People take that for granted sometimes. Is that like being the voice in someone’s head? And how does the voice sound? Low and sultry or high and grating–like fingernails on a chalkboard….. Thank you, Batman for the mental chew toy. Or are you the Joker? This is just typical. I know a guy who had reptiles as pets. I mean, he had a Tegu, a monitor, (those are big lizards) and various snakes. I think they all eventually escaped. But this guy isn’t working with deadly diseases, hence the difference.